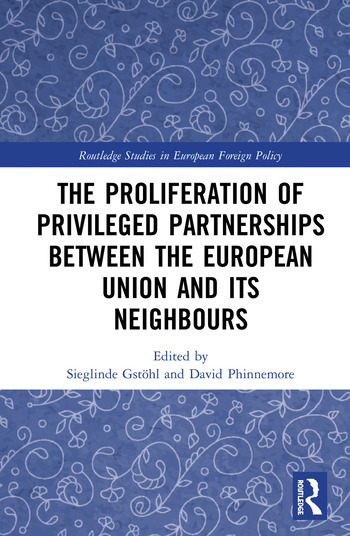 This edited volume provides a timely analysis of the European Union’s ‘privileged’ partnerships with neighbouring countries identifying key points of comparison. It analyses which policy areas are covered and why, the reasons why a specific institutional arrangement has been chosen, the major advantages and shortcomings for both sides, and how effectively the privileged partnerships have worked in practice. Drawing on a number of case studies, the book highlights critical junctures and path dependence in the EU’s external relations and examines what general lessons can be drawn regarding privileged partnerships, in particular with a view to the UK’s post-Brexit relationship with the EU. This book will be of key interest to scholars, students and practitioners in EU affairs, European politics, diplomacy studies, and more broadly to international relations and law. Sieglinde Gstöhl is Director of the Department of EU International Relations and Diplomacy Studies at the College of Europe in Bruges. David Phinnemore is Professor of European Politics and Dean of Education in the Faculty of Arts, Humanities and Social Sciences at Queen’s University Belfast in Northern Ireland. He is also Visiting Professor at the College of Europe in Bruges.